Mahalo to everyone who was able to come out to campus last Wednesday to attend our Middle School Project-Based Learning (PBL) Expo! It was a wonderful evening. A real celebration of our students, their talents, interests and learning. If you are not familiar, our teachers present essential questions to students at the beginning of the school year. Then, our middle school students regroup themselves based on what resonates most with them. This is similar to how we run our enrichment program, except PBL groups are year-long. These interest-based groups typically meet together with their faculty advisor once a week to explore their topics. Groups learn more about their topics via various methods, including research, inviting guest speakers to campus, digital communication, and going on field trips. PBL Expo is a capstone experience where student present back out to the community, an authentic audience, what they have learned and sometimes created or contributed. How can we use geocaching to promote the hiking spaces of Oahu in our school community? How does participating in novelty activities promote physical and mental health? How can we as middle school students design and develop community service projects to help children and kupuna? How can we use business planning and entrepreneurship to start a business that will benefit students at Assets or Oahu community? How can we promote literacy in low income areas through outreach and networking? How can we improve campus climate at Assets through positive vibrations? How can we express ourselves through music? Why is food an essential component of culture? How can we promote safety and awareness of ocean activities to Hawaii visitors and residents? In turn, students created Little Free Libraries for the community, wrote and published their own children’s book, performed a musical concert, made informational and documentary videos, created a geocache adventure on campus, led an interactive workout demonstration, developed business plans, volunteered with Meals on Wheels, led beach clean-ups, organized the Snack Shack on campus, led an anti-bullying poster campaign, and coordinated the popular Appreciation Station….among many other efforts and activities. As always, I was impressed with our students creativity and thoughtfulness. 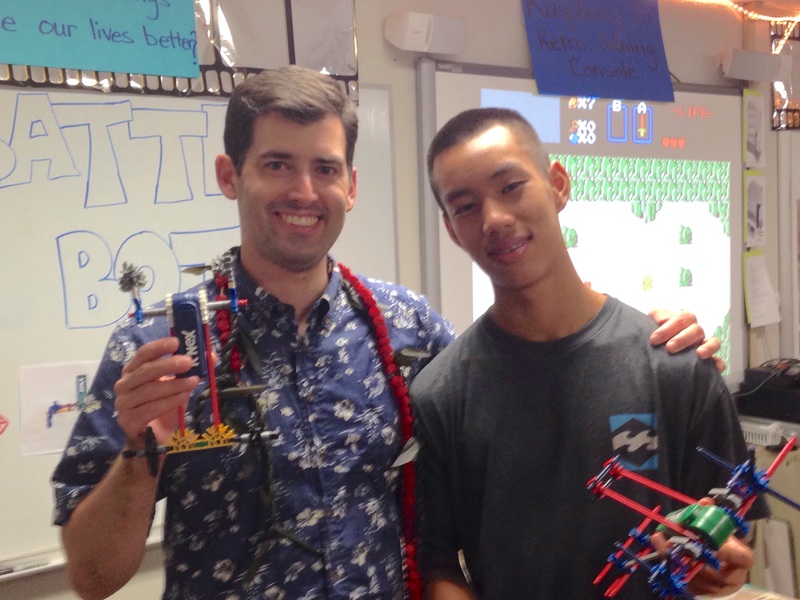 Mahalo to our teachers for their guidance in helping students navigate their ideas and projects. Tags: Assets School, Community, Middle School, Music, Project Based Learning | Permalink.